White on white is the season’s ultimate power move, and I’m onboard for all of it. 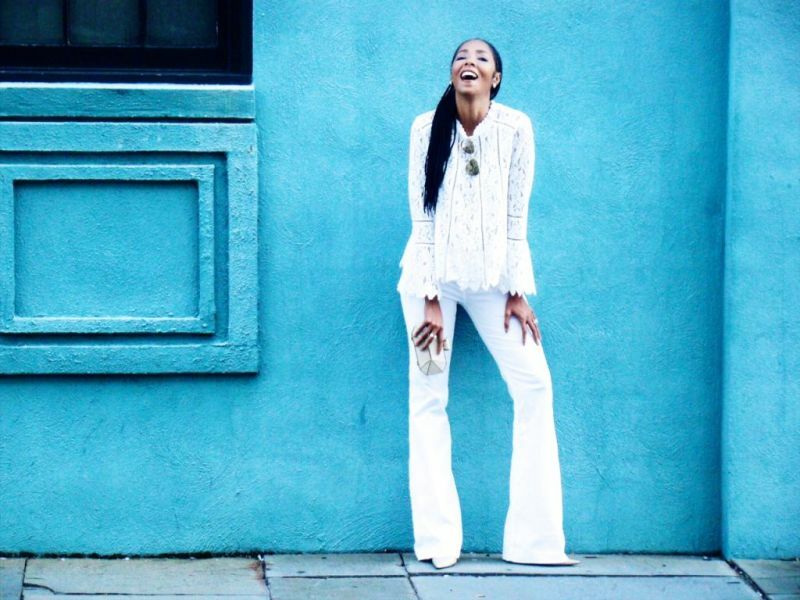 You’ll often find my street style this season in head to toe in one of the season’s fall trends: shades of white. Yes, I know all the cliche reasons not to wear white after Labor Day. The list is exhaustive but you know the story, white is too lightweight for cooler months, it’s too simple and basic (is that a thing? ), too difficult to mask coffee stains or too hard to dress up for fancier occasions. Blah, blah! I hear it all, but I love winter white more than I care about rules that have no bearing on my real life. While you won’t catch me in summery, light-weight pieces in Chicago once it cools down (for obvious reasons), when traveling to Miami or warmer climates, I’ll rock lighter pieces year-round without a second thought. In today’s age, you can rock your personal style in whatever ways you want; however, and whenever you want. If our president isn’t confined to the rules of tradition, why should we? The way I view it, fashion rules are known only to be broken by those daring to challenge the norm of tradition to express themselves in authentic ways their creative souls desire. 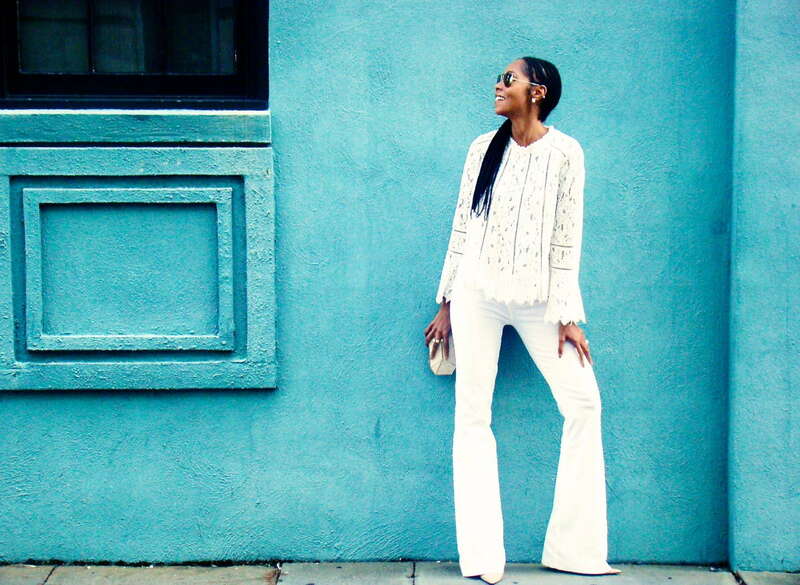 Head-to-toe fall looks of white are leading fashion trends everywhere from runways to street fashion around the globe. Turns out, they’re more valid reasons as to why you should embrace the calming and crisp look of winter white if you’d like, than the opposition. 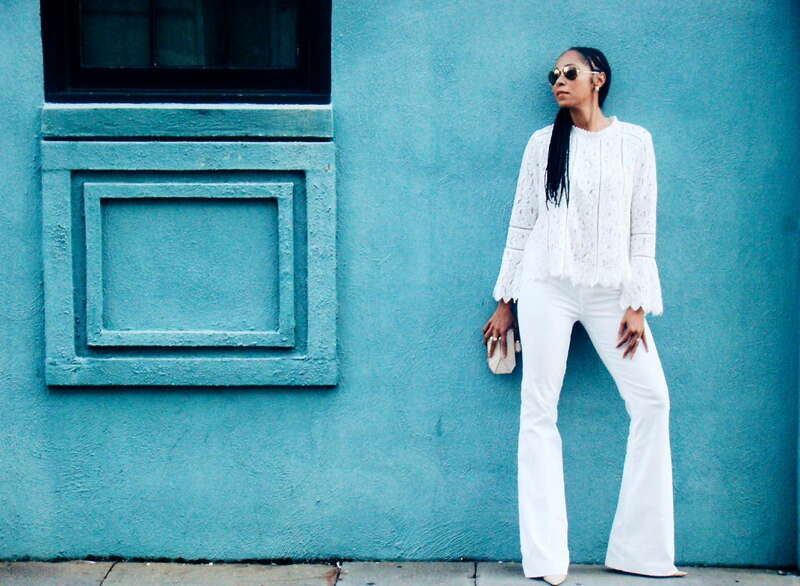 For me, white jeans are a new personal style staple, so why bother seeking out the perfect pair to only wear half the year? On cooler days, I’m not bringing out my most ripped pair, and instead, will opt for bootleg corduroy ones I’m practically living in these days. Today (my ootd), I rocked them with a daintier- white lace mock-neck top, and an ivory with gold accented clutch with plans of heading to a birthday party after leaving the office. On more casual days, I pair the cords with a white cotton button down, my Hermes buckle belt and black booties or a black sweater and trench coat, and can’t nobody tell me nothing. While I do put away thinner linen tops as fall approaches. Year-round whenever the weather permits, I live for a white, knit sweater. Right now my favorite is a creamier color, Banana Republic + Olivia Palermo cable-knit turtleneck with lace accents, and- it fits more flattering than it looks. I love wearing all white year round. I think it is such a fresh look. Love it!